Order in the next 1 hour, 16 minutes an 4 seconds for same day shipping. 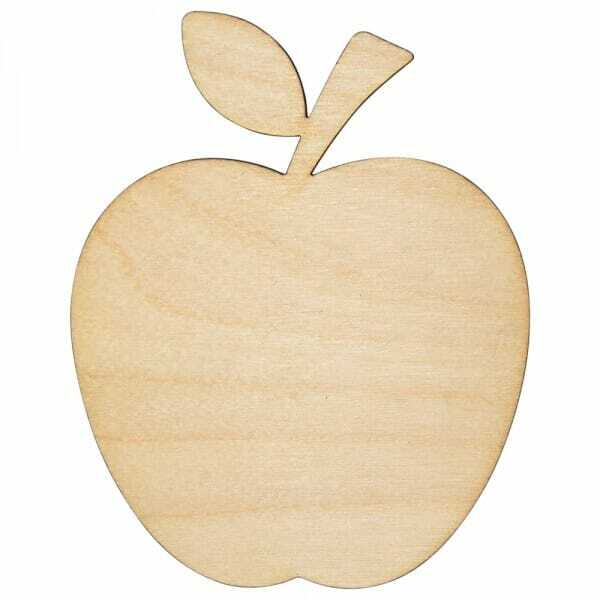 The wooden apple craft shape comes in various sizes ranging from 25mm to 250mm, perfect for all types of creative designs. Add glitter and colour to your craft shape and glue to your art project to enhance the overall effect. Laser cut from 3mm of Birch wood, the craft shape presents a flawless finish. Customer evaluation for "Craft Shapes - Apple"